Gardasil 9, the latest human papilloma virus vaccine, will be given to all Australian 12- and 13-year-old students beginning in 2018. The announcement that Gardasil 9 would replace the quadrivalent Gardasil was made by the Prime Minister at the North Bondi Surf Club. That Malcolm Turnbull was involved in the ceremony surprised me, but clearly it illustrates the strong support the government has for the practice of vaccination. The spectacle is worth examining, firstly for the pageant itself and what it signifies along with the likely repercussions of this decision. an example of the way in which we are keeping Australians safe and healthy, we are saving lives, the young lifesavers behind us, they’re getting ready to save lives on this beach. If the repercussions in the wake of HPV vaccines weren’t so tragic it would be comical. How can the Prime Minister have missed the fact that there have been at least 73,000 adverse events following the administration of the quadrivalent HPV vaccine, Gardasil, and that so many of these teenagers are still ill, and can’t go to school or play sport? How can he talk about the value of ‘saving lives’ when he is endorsing this vaccine that is associated with thousands of adverse events leading to sustained illness in so many young people — people who were encouraged to have a vaccination for a disease they were most unlikely to ever get? Here we have the additional five types, which means you have 93 per cent protection against cancer, so that’s an extra 23 per cent cover. It’s a real bonus, whereas we previously had protection for cancer-causing types, which were 16 and 18, which made up 70 per cent. What Merck has done is fund a study into its own product. Buoyed by the claims of the study’s author, even though they are purely speculative, Merck is endeavouring to ensure that every Australian teenager is administered with Gardasil 9, by accessing the limited resources of the public health purse. And the government is right with them in their profit-making exercise. What a lucrative business: Fund studies into your own products, talk up the results, and thanks to the newspapers of Australia and their blinkered journalism, sit back and watch the money roll in. Gardasil 9 was approved for use in Australia by the TGA last year and is said to be protective against nine HPV types: 6, 11, 16, 18, 31, 33, 45, 52, and 58. This advertisement too is proudly placed next to healthy, smiling children, this time competing on the soccer field. Again the emphasis is on health and sport. And yet the truth about the vaccine is that it is not saving lives. On the contrary, most of these vaccine-injured teenagers also excelled at sport; were fine pupils and had bright futures before they were vaccinated with Gardasil. One would have hoped that by now the HPV vaccinations programs would have been stopped, but instead we now have another — Gardasil 9, which contains even more of the aluminium adjuvent than the quadrivalent HPV vaccine Gardasil. One shot of Gardasil 9 has 500 mcg of this known neurotoxin. Girls and boys will receive two shots of the vaccine, bringing the total amount of aluminium injected into their young bodies up to 1000mcg. Gardasil and Gardasil 9 contain amorphous aluminium hydroxyphosphate sulphate (AAHS), used as an adjuvent to stimulate the immune system so that it produces antibodies. But the use of this new form of aluminium causes the immune system to become 104 times more powerfully stimulated than would occur naturally. 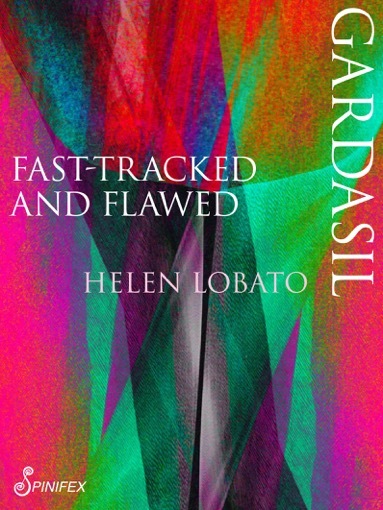 In “FDA approved Gardasil 9: Malfeasance or Stupidity?,” Norma Erickson has examined the Gardasil 9 package insert where she found that the rate of serious adverse events in the trials of Gardasil 9 was 2.3-2.5%. This means that for every 100,000 people who are given Gardasil 9, there will be 2,300 serious adverse events, and yet the cervical cancer rate in the U.S. is around 7 women per 100,000. Talk about insanity! And that’s not all she found when she examined the insert package. During the trials, 2.4% of the recipients developed an autoimmune disorder, which means that 2,400 people could now be suffering from new diseases just because they had this new Gardasil injection. There was also bad news for women who became pregnant during the trials, in that 14.1% suffered adverse outcomes. Erickson notes that those who were in the quadrivalent Gardasil trials suffered similar and even higher rates of adverse outcomes of 17%. In all, 313 women either lost their babies to spontaneous abortion or late fetal death or gave birth to children with congenital anomalies. The announcement by the Prime Minister of the availability of Gardasil 9 is evidence of the incredible importance the Australian government places on the practice of vaccination. In Australia, failure to have your child vaccinated according to schedule denies the child of a place in childcare and in kindergarten and penalizes the family by loss of certain family payments. It is therefore unsurprising that this announcement was made in the manner in which it was — in the midst of sun, warmth, youth, and health. Also in attendance on this day at Boni Beach was co-developer of the first HPV vaccine Professor Ian Frazer who, at the height of the marketing campaign in 2006, was made ‘Australian of the Year.’ Obviously this announcement was a big deal. The public was meant to take notice, have its faith in science and medicine strengthened, and most of all, to take advantage of this free offer for its young teenagers. Fact is that with a regulator (TGA) wholly funded by those it administers, with a Government in the thrall of big corporations, with media under the thrall of the political interests of its owners, with Universities and teaching hospitals reliant on funding from Pharma the issues do not get an airtime. But Malcolm Turnbull knows how to get airtime. His announcement that Australian teenagers will receive Gardasil 9 next year was on every television news service that night. But there was no questioning by the media about the effects of this decision. No one asked how many cases of cervical cancer this vaccine will prevent. The answer to the neglected question is that this vaccine has never prevented a single case of cervical cancer. And, after all Gardasil, was marketed as a vaccine to prevent cervical cancer. Meanwhile the overstimulation of the immune system continues to damage our teenagers, resulting in the development of more dangerous allergies, especially asthma. The vaccine is associated with serious adverse events such as autoimmune diseases and seizures, POTS or postural orthostatic tachycardic syndrome, gastrointestinal problems, heart disease, cancer, hair loss, depression, insomnia, and excruciating joint pain. If the government really cares about good health and the sporting prowess of its teenagers, then the HPV vaccination program should be stopped immediately. There is no need for this vaccine. Cervical cancer can be detected by Pap smear screening. There is no epidemic of cervical cancer in Australia. Definition of insanity. Serious adverse events waaaaaaaaaaay outnumber cervical cancer incidence, yet get your vaccine… and, oh wait, your children are being MANDATED to take 1000 mcg (1mg) of aluminum in their shots. But, nothing to see here… move along.